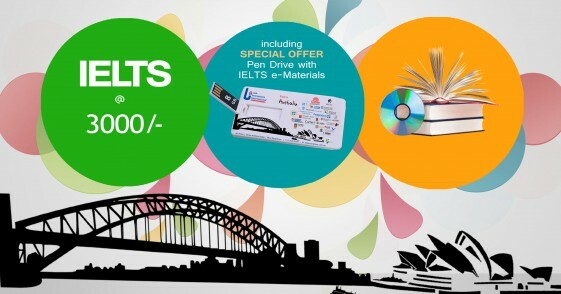 Get 50% off on Evening Classes plus 8 GB Pendrive with IELTS e-materials absolutely FREE!!. Just for Limited time !! Sydney has been named as the world’s most popular city to study in, according to a new index that shows it attracts more international students than any other city. The global consulting firm AT Kearney put Sydney ahead of 83 other cities, including London and New York. Figures from the federal government show Sydney is home to an estimated 50,000 international students enrolled at the city’s universities, with another 50,000 studying vocational and English courses. Sydney Lord Mayor Clover Moore says the city gains economically, culturally and socially from having a diverse community with such strong links to the rest of the world. “Being the world’s most popular destination for international students helps build Sydney’s cultural diversity and strengthen our regional and global connections. The international student community contributes over $1.6 billion to the City’s economy and generates demand for 10,000 full time equivalent jobs,” the Lord Mayor says. City of Sydney councilor Robert Kok says students who study in the city become ambassadors, acting as a bridge to Asian countries such as China, India, South Korea, Malaysia and Vietnam. 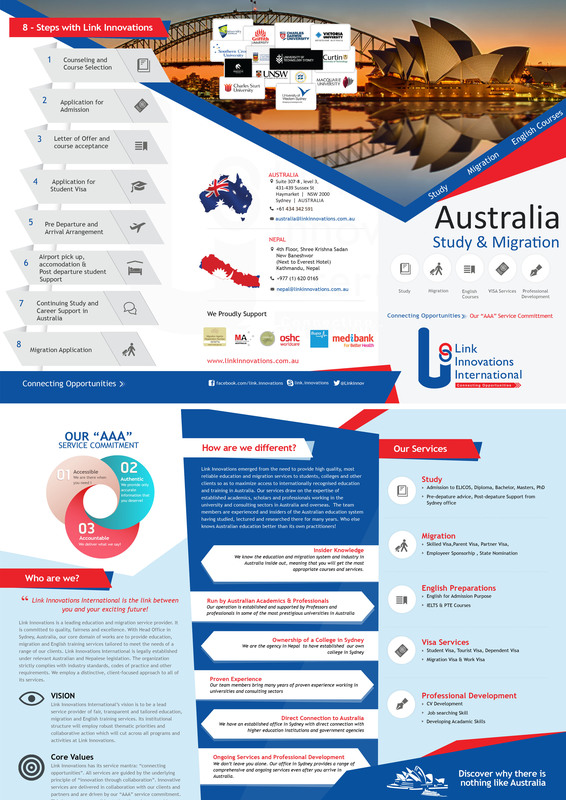 Those students equipped with language and cultural skills would benefit Australia enormously in terms of trade and exchange. Councilor Kok says the city council already has several programs in place to support international students, including a dedicated international student resource guide and an international student leadership and ambassador program designed to provide work experience, skill development, mentoring and leadership training. Addressing issues of high living and rental costs, and concerns about racism and safety, Councilor Kok says the City is aware of these issues and continues to work hard to deal with them. The City of Sydney won the 4th spot for most popular city for international students in the QS Best Student Cities ranking last year. 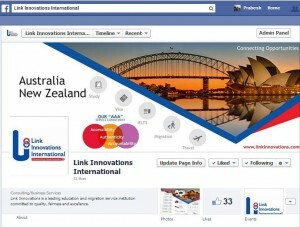 We are pleased to announced the official launch of our Facebook page facebook.com/link.innovations. Pls like us in Facebook and help us to grow. © 2019 Link Innovation International. All Rights Reserved.